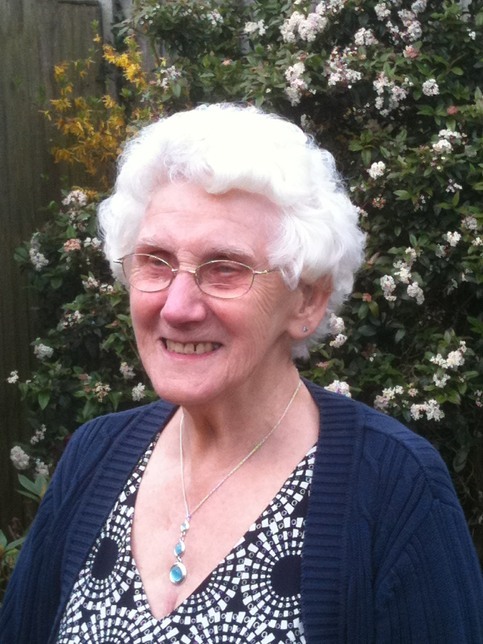 My Mum was a quiet, private person who was genuinely content in her own company. She did however have very strong opinions and she has been my constant guide and best friend. She had it tough, first nursing my Dad and then looking after my grandmother but there were good times too. She helped with our children growing up, some family holidays. She and I visited Paris, Vienna, Copenhagen and we had a cruise on her 80th birthday when she climbed to the top of Marseille’s Basilica easier than I did. She never, ever complained during her long illness or asked for anything. In fact she resisted any help until she had to have it and then accepted it with resigned dignity. And always there was a sense of humour, often suggesting I or the carers had her medicine instead of her or perhaps a sherry! We have had extraordinary help these last years. I found a note on her ever present notepad saying ‘I’m sorry if I don’t always say thank you’ so on her behalf I do that now to everyone who helped me keep her at home where she wanted to be. I miss meeting up for lunch, going to the garden centres and having her weed her garden (or ours). I miss games of cards, ludo that she invariably won and more recently unpicking her knitting when it got in a tangle. I miss hearing her say goodbye to the children, always telling them to be good but if they couldn’t be good to be careful. She is the voice in my head and I loved her to bits. We will miss her.